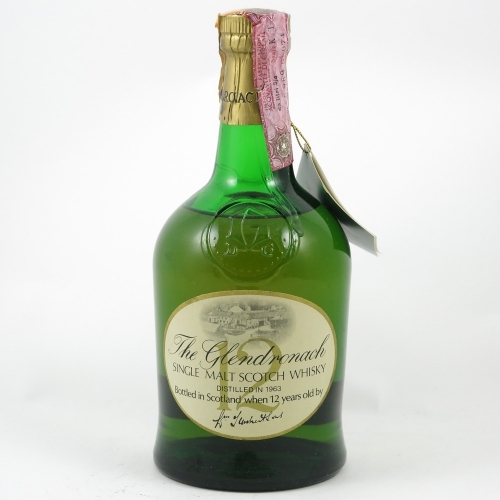 A stunning example of Glendronach distilled in 1963 and bottled in the mid-1970s within their iconic dumpy green bottle. Please note this bottle is a single bottle and does not come with a box. Sweet and creamy vanilla with hints of ginger. A mulled wine aroma is also noticeable as well as pear. The taste itself is again creamy and rich with oak and sherry sweetness. Full mouth feel, raisins and soft fruits. A warming spice with a dry finish.